Ubisoft has opened the doors to another Rainbow Six Siegebeta and if you’ve been fortunate to get ahold of one of the keys the publisher has been throwing around then you’ve access from now until Monday, September 28th. Those plans you had for the weekend, cancel them. 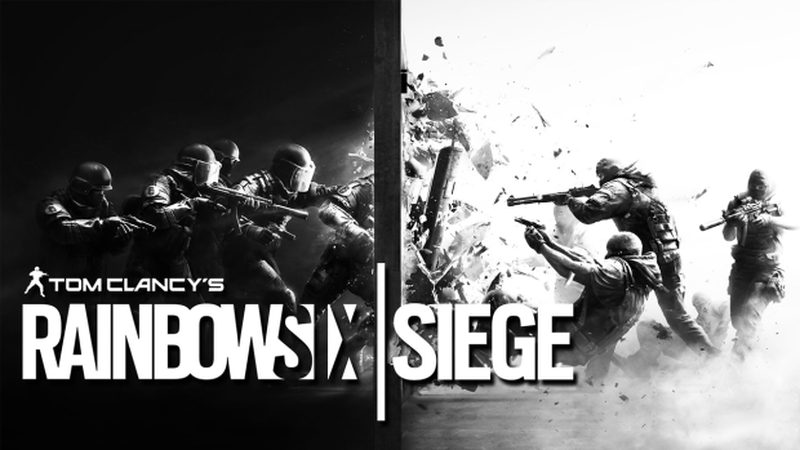 Siege is a multiplayer-focused Rainbow Sixgame; so far we’ve seen nothing of a single player mode, only a competitive team deathmatch mode and a cooperative terrorist hunt game. The big sell of Siege is that the environments allow for a huge amount of destruction, such as being able to shoot holes in walls and blast your way through the floor with satchel charges. As one team is defending agains the other, it means that campers can expect to have the room around them destroyed by the attackers. Last week, I was able to have an afternoon playing some of the levels included in this weekend’s beta and I was completely sold on the shooter. I’m a huge fan of the Rainbow Six games and the constant rumours and cancellations of games since Vegas 2 was starting to cut deep—no other game was offering the same tactical shootery as the Rainbow games. Thankfully what I’ve played has made up for the wait. The first mode I played was the 5 v 5 deathmatch. The level Ubisoft loaded up was Hereford, a map that sees you fighting in a four-story building, filled with tight corners, staircases, and hiding spots. The attackers had to track down a chemical bomb and stand near it for 10 seconds to defuse it, the defenders had to stop them. You could also win by wiping out the enemy team. Before each game there’s a brief prologue where the defenders can block up windows, board up doors, and lay down defences – everything from barbed wire and bombs to deployable, armour-plated cover. While the defenders are playing house, the attackers can scout out the level with remote control drones. The opening section ensures that each round plays differently. Defenders can hide in different rooms inside the building, setting the bomb up in different locations, and different windows, corridors, and doors will be boarded over by the defenders each game. Going into each game you get to select from different equipment loadouts. As an attacker, for instance, I could take in a ballistic shield which, when crouched, gave me almost complete cover when advancing on the enemy, or I could opt a special breaching charge that I could set on a wall in a room next to the defenders, when I activated it it would drill grenades through the wall and into the defender’s room. You can also select different sorts or armour, opting for light armour that lets you run quickly or heavy armour that slows you down but actually keeps you alive in a gunfight. The defenders get equally good equipment. One loadout lets you use a heartbeat sensor, which means you can see enemies through walls. Another lets you electrify barbed wire and the structs you use to bolster walls. Once the game begins proper you’ll quickly find out how cautiously you need to play, even with heavy armour a few well-aimed shots will kill you. You need to clear rooms carefully and work as a team to keep each other covered from ambushes. When firefights start the destructible environments come into their own. You can shoot enemies through walls, blast a chunk out of a blocked up window and then throw a grenade through the hole, or simply use the angle of the bullet holes appearing around you to work out where the enemy is hiding. It’s a wonderful system that fits so well into a Rainbow Six game. The mode I was most excited to play wasn’t the (excellent) deathmatch mode but the new Terrorist Hunt game. I’ve played Terrorist Hunt with my flatmates for years without getting bored of it so we’re all eagerly looking forward to a new iteration. The old version of Terrorist Hunt would plop you into a map with 50 enemies and you had to go from room to room killing them all. The new version is similar, but with one major change, there are now objectives. So, the game I played saw five of us assaulting a consulate where we had to defuse two bombs hidden somewhere in the building. We were free to go after bombs in whatever order we wanted; we could enter the building how we liked, and none of it was scripted. It’s a great mode, encouraging you to tackle the challenges of the space and the AI as a team. The first time we tried the map we climbed up the outside of the building and then tried to rappel in as a team through the skylight on the top. The AI immediately swarmed the stairwell we were descending into. We had to lower ourselves down three floors, being shot at the whole time, before we could safely detach from our ropes. That mistake cost us two teammates. The three of us still alive started clearing our way through the house taking out the AI hiding in each room. As we searched the building we discovered another addition in Siege: traps. The AI had hidden remote C4 that, if you don’t recognise the telltale bleep, they will explode underfoot, killing you instantly. We lost another teammate that way. Down to two players we found one of the bombs and, as one of us started to defuse it, began to be swarmed by AI. They came through both doors into the basement room, and, if more of us were alive, we’d have been able to hold off the assault. But, with just two we were slaughtered. Siege’s AI is not smart but they’re good shots and they outnumber you hugely. Any mistake you make will be painful. Our second (and last) attempt ended faster than the first. You have about a 60% chance to start a match successfully. Average awaiting time is 60 seconds. If you’re not able to join a game under 90 seconds, we recommend you to quit the lobby and try again until you succeed. Once you have played a full match, you will be automatically re-queued to join another match. When this occurs, matchmaking success rate is 10% to 20% lower. If you’re re-queued and you don’t find a game in under 60 seconds, go back to game menu and start matchmaking again. When trying to join a match as a full party, the percentage of success rate is lower than when joining a match as a single individual. You might be faced with different error messages (error 50 being a recurrent one). We are currently investigating the nature and how to fix these errors. When facing these errors, we ask you to restart the game.